The Labatt Family Network for Research on the Biology of Depression will pioneer innovative approaches to depression research, advance our understanding of the biology of depression and foster the next generation of research talent. This collaborative network will establish two Labatt family chairs at U of T with links to the Centre for Addiction and Mental Health (CAMH) and the Hospital for Sick Children (SickKids), and fund a professorship, numerous fellows, residents and early-stage scientists working across Toronto’s biomedical ecosystem. The Labatt Family Network’s principal aim will be to push beyond institutional and disciplinary boundaries to find new pathways of discovery. The World Health Organization identifies depression as the leading cause of disability on the planet, and it is an illness with no single cause. Symptoms can vary from person to person as depressive disorders come in different forms, and the efficacy of treatments is different for each sufferer. Understanding the biological underpinnings of depression is widely seen as the next frontier for research in the field. “The Labatt Family Network is truly a game-changer in the study of depression,” says Professor Trevor Young, dean of the Faculty of Medicine. “This support for the early, innovative work of clinician-scientists will allow them to pursue sustained interdisciplinary research that we hope will lead to a biomedical model of depression. This will help us understand how depression begins and develops across the lifespan. 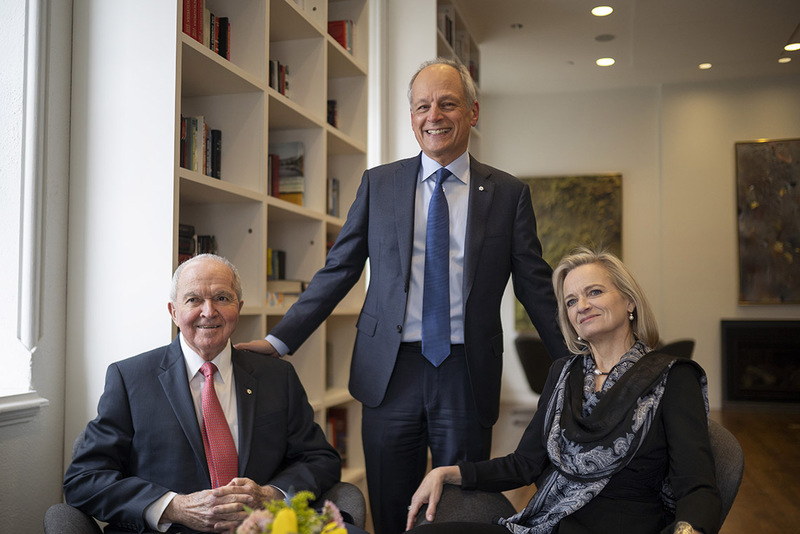 The Labatt family’s gift will build a network of talent, and fund multiple research trajectories, to ensure investigators can follow the most promising leads as they build a better biological model of depression. The Labatt Family Chair in Depression Biology and Children (U of T/SickKids), the Labatt Family Chair in Depression Biology and Late Life Adults (U of T/CAMH) and the Labatt Family Professorship in Depression Biology will support the best minds in depression research. The Labatt Family Research Fellowships in Depression Biology and the Labatt Family Research Program will develop the next generation of leaders by attracting students, residents and young scientists to the field. The Labatt Family Network as a whole will benefit from guidance from the Labatt Family Network Advisory Council, an independent body led by the Cameron Wilson Chair that will include internationally acclaimed psychiatric researchers. Recognizing the Labatt family’s generosity, the chair of the department of psychiatry will now be named the Labatt Family Chair, with Professor Benoit Mulsant as the inaugural holder. This is the third named departmental chair in the Faculty of Medicine, taking an esteemed place alongside the Sir John and Lady Eaton Chair of the department of medicine, and the R.S. McLaughlin Chair of the department of surgery. “This gift from the Labatt family represents truly visionary support,” says David Palmer, vice-president advancement. “We don’t know where the next great discovery will come from, but by investing in ideas and approaches that show promise, and nurturing the talent of tomorrow, the Labatt family has taken an enlightened approach to how we will tackle depression in the future.